This entry was posted in Recipes and tagged salad on October 7, 2018 by The Yellow Pine Times. 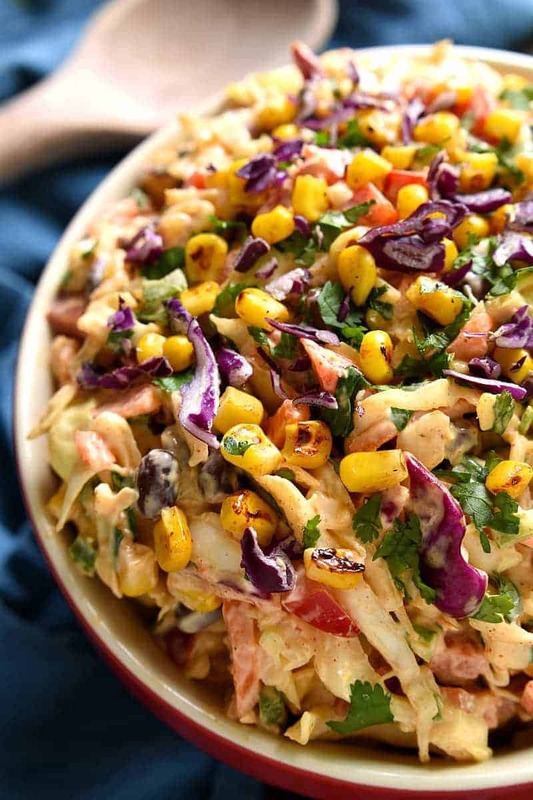 In a large mixing bowl, combine coleslaw mix, red pepper, black beans, grilled corn, cilantro, and jalapeno. This entry was posted in Recipes and tagged salad, veggie on September 30, 2018 by The Yellow Pine Times. In bowl, combine eggs, mayo, lemon juice, cilantro, salt, pepper, mustard and optional spices. Gently combine well. This entry was posted in Recipes and tagged eggs, salad on August 26, 2018 by The Yellow Pine Times. 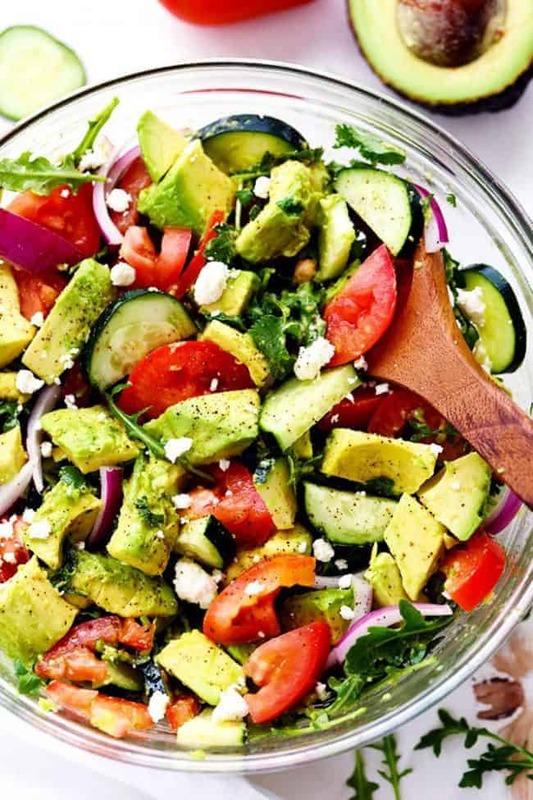 This entry was posted in Recipes and tagged salad, veggie on August 19, 2018 by The Yellow Pine Times. To a large skillet, add the olive oil, chicken, evenly sprinkle with 1 heaping tablespoon taco seasoning, and cook over medium-high heat for about 5 minutes, flipping intermittently so all sides cook evenly. Cooking time will vary based on thickness of chicken breasts and sizes of pieces. Allow chicken to rest in pan off the heat while you assemble the salad. 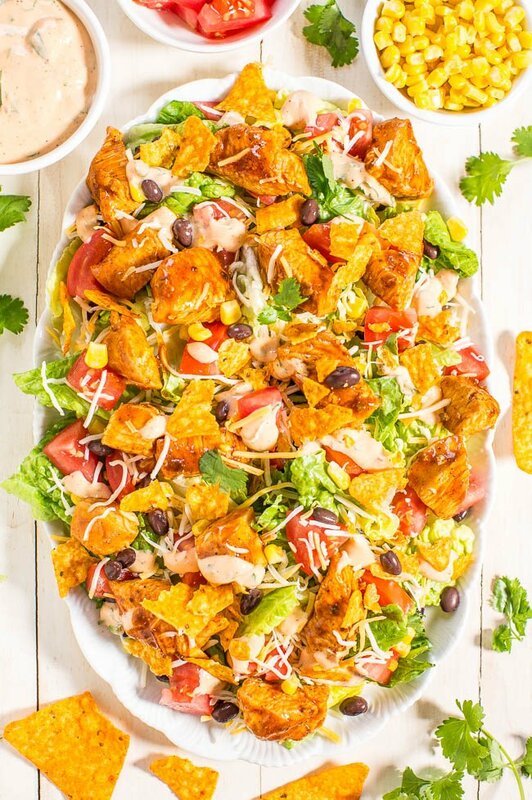 To a large platter, add the lettuce, and evenly sprinkle with the tomatoes, corn, black beans, avocado, cheese, tortilla chips, and chicken; set aside. To a small bowl, add the mayo, sour cream, lime juice, 1 heaping tablespoon taco seasoning, and whisk to combine. Add the cilantro and stir to incorporate. Add additional lime juice to thin out dressing if desired. Taste dressing and depending on how much lime juice was used, add sugar to taste. Evenly drizzle dressing over salad. Extra dressing will keep airtight for up to 5 days in the fridge and makes a great veggie dip. This entry was posted in Recipes and tagged chicken, salad on August 12, 2018 by The Yellow Pine Times. 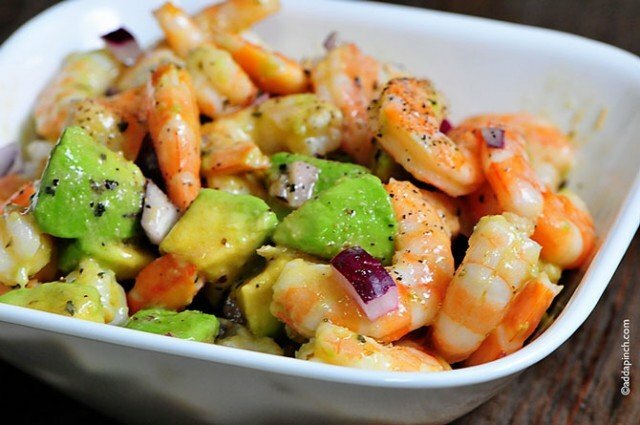 Shrimp Avocado Salad makes a wonderful lunch or light supper during the summer. Add this Shrimp Avocado Salad to a sandwich, pasta, or atop greens, too. This entry was posted in Recipes and tagged salad, shrimp on August 12, 2018 by The Yellow Pine Times. 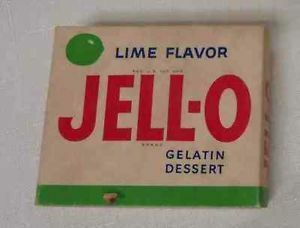 Combine gelatin, hot water, salt and onion. Stir until dissolved and let cool. Beat cream; add the mayonnaise and mix well. Add to the gelatin mixture and stir well. 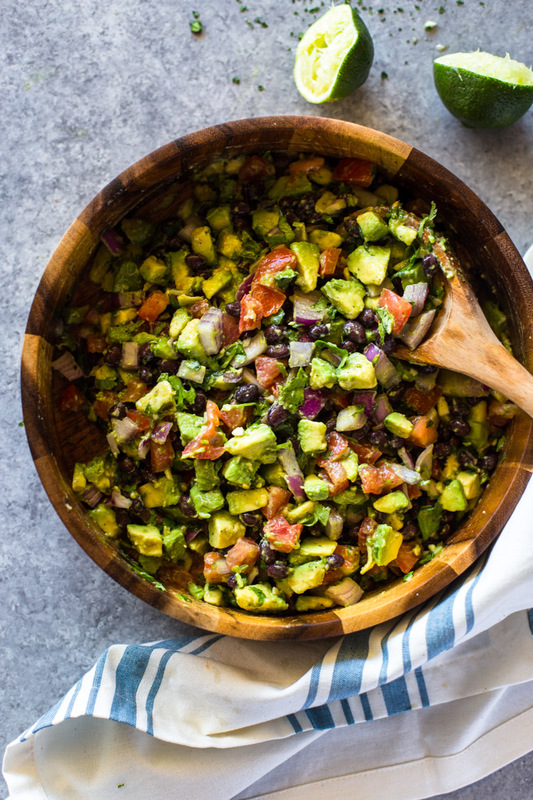 Pour mixture over the following salad ingredients and mix well. Let this stand in refrigerator overnight and garnish with stuffed olives before serving. This entry was posted in Recipes and tagged chicken, salad on July 22, 2018 by The Yellow Pine Times.